Welcome to Vegan MoFo VI! I can't believe this is my third MoFo. For those who aren't familiar with my blog, I review Vegan convenience foods. It's not rocket science, but it's stuff I eat anyway and I enjoy doing it. So with that said, I'm going to review one of my all time favorite treats, the Sweet & Sara Peanut Butter Smore! As a lot of you know, I'm a Sweet & Sara Smore freak. I seriously eat two of these a week, minimum. I convinced Whole Foods Omaha to carry them, thank god. Eating a PB Smore is euphoric to me. Is it health food? Hell no. But that's what the gym is for. Everyone deserves a vice. 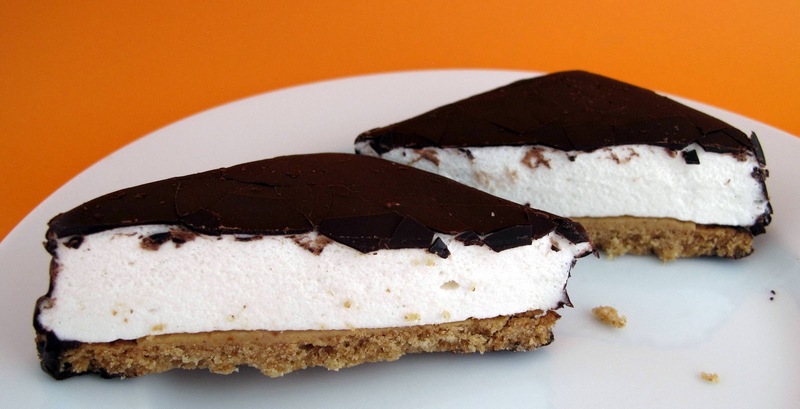 Peanut buttery, marshmallowy, chocolaty, graham crackery goodness. The first bite is always the best. As I get closer to the end of the smore, I get a little sad inside. Did I eat enough smore? Probably not. Should I eat another one? That's always the struggle. I don't have a rating or anything on my blog, but I would give this the highest rating possible. Like 20 marshmallow thumbs up. And then some. I love that peanut butter s'more! Thanks for the reminder to try to find some before I fly home tomorrow! Haha! 20 marshmallow thumbs up and then some...love it! Sweet&Sara are definitely the marshmallow masters! 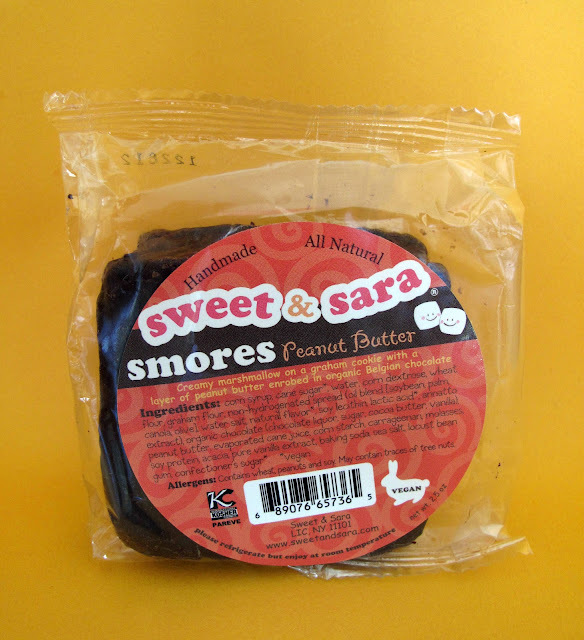 Sweet and Sara peanut butter smokes on are my list of all time favorite things too! I've never had one of these! What kind of life am I living. yay! happy mofo! I've still never had any Sweet & Sara treats! God, I love these! Have you tried microwaving them for a few seconds? OMG! Mmm, I need to try that! I have never tried these, and now I am super sad. But hey it's good to know these are out there, and that deserves 21 marshmallows. Thank you for a great post. Their stuff is just too good. wow this looks delish! i havnt had a smore in forever because marshmallows are vegetarian :( so i am always on the look for vegetarian alternatives! Which aisle (and if you can remember) shelf are these? Sorry I flaked out on the meetup on Sunday John, was at a funeral the day before. No prob! They are over by the vegenaise and tofu. Right side, lower corner. They have marshmallows too!